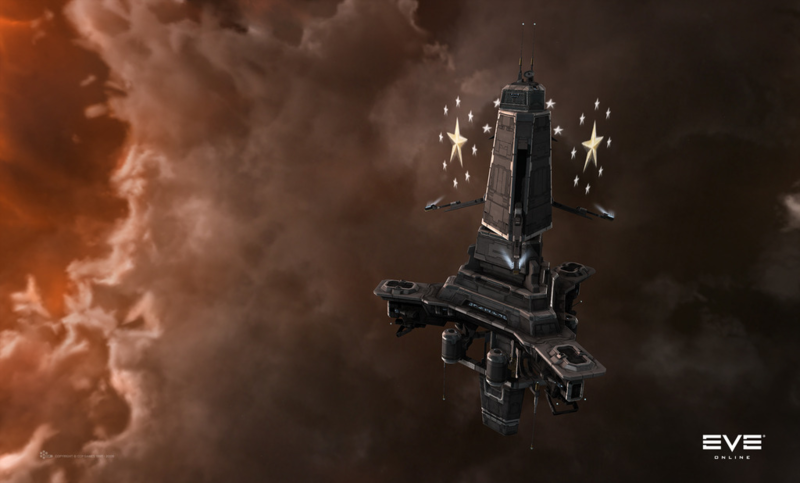 “World War Bee”, the great conflict between Imperium forces and nearly everyone else in New Eden, is raging in the northern regions of null-security space. This war is so large, with many tens of thousands of players involved, that even non-gaming media outlets are reporting about it. Without a doubt, there is a lot of fighting going on in the north, as the diverse array of Money Badger Coalition (MBC) allies tries to wrest control of systems away from the powerful Imperium. 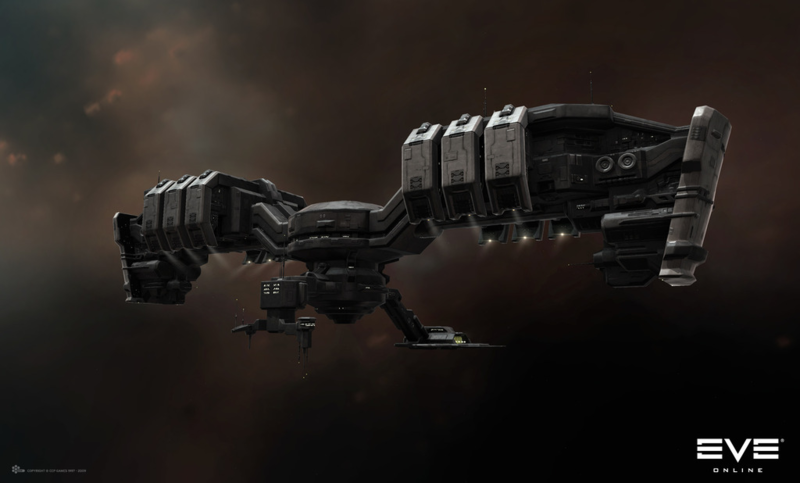 In truth, since the majority of EVE Online players are not active in null security space, a lot of interested observers of the war do not fully understand the mechanics upon which it is based. It all sounds very exciting. But with all combatants spinning their propaganda machines at full speed, it’s difficult to discern who is actually winning the war. 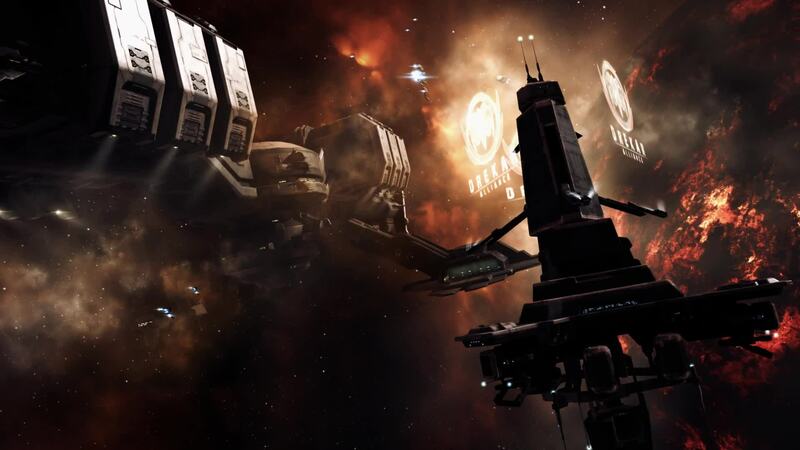 In truth, since the majority of EVE Online players are not active in null security space, a lot of interested observers of the war do not fully understand the mechanics upon which it is based. The news reports about World War Bee speak of timers and I-Hubs and TCUs and Entosis Links and vulnerability windows – it is all very confusing for those unfamiliar with the details of war in 0.0 space. The uninitiated wonder: what does it all really mean? To plant that flag of ownership, a player alliance must deploy a Territorial Claim Unit (TCU). There can be only one TCU deployed in a system. The owner of the TCU is listed as the owner of that system on the game’s starmap. I-Hubs also allow system owners to set up more advanced POS structures, such as Jump Bridges, which act like temporary stargates to nearby systems, and Cynosural System Jammers, which help to prevent others from entering the system through backdoors in space-time from remote locations. Making an enemy I-Hub explode can be strategically important, since taking one out deactivates Jump Bridges into that system, making it more difficult for defenders to rush reinforcements there. As the System Indices increase, they also contribute to an Activity Defense Multiplier (ADM) in the system, which affects how long attackers must engage to capture structures like TCUs and I-Hubs in a system. The higher the ADM, the more time an attacker must dedicate for a successful attack. Alliances influence when their systems can be attacked to a significant degree by setting a vulnerability window – this window can be set for each structure they control. The length of a vulnerability window is 18 hours divided by the ADM in the system, which produces windows ranging in length from 18 hours to 3 hours. The vulnerability window allows an alliance to set ranges of time when they are best able to field a sufficient defensive force. This is a significant advantage for defenders of sov space. The Imperium, being a coalition of many large alliances with players located all over the world, has many vulnerability windows set to all hours around the clock. Depending on the ADM of the system, a successful Entosis Link attack can take anywhere from ten minutes to an hour, if the attack is uncontested. That last point is important, as it means that the defenders can activate one of their own Entosis Links on the structure, and thereby reset the time needed for an uncontested attack. For this reason, Entosis Link attacks often result in significant firefights, as each side tries to clear off any interfering enemy ships. One reason why the current war is a real challenge for The Imperium is because the MBC allies are attacking so many places at once. This makes it nearly impossible for Imperium forces to contest all of the Entosis Link attacks. 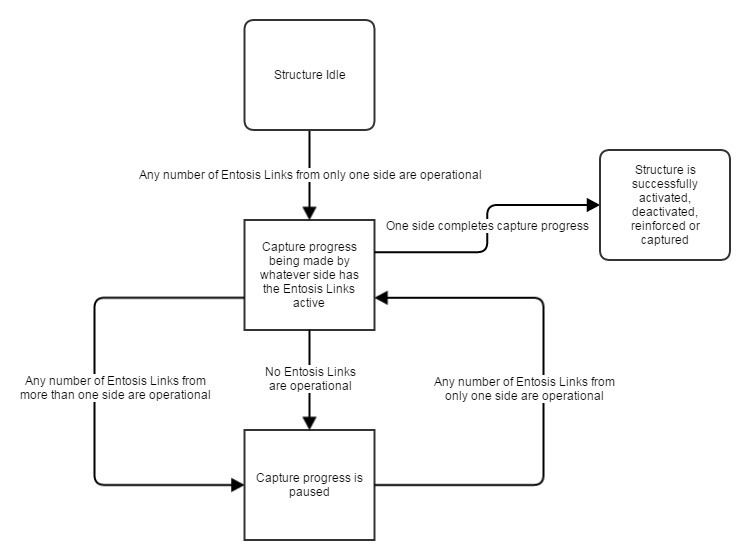 When the structure comes out of reinforcement mode, a new phase in the capture process begins. Command Node anomalies then spawn at random locations throughout the constellation of that system. 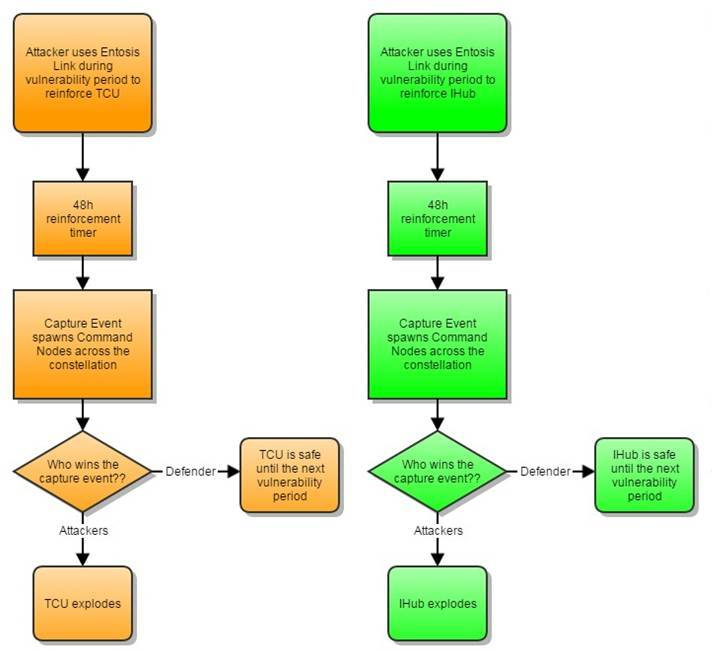 Players may then use Entosis Links to put the various Command Notes into reinforcement, as was earlier done to the structure itself. If attackers can successfully capture enough Command Nodes, they then win the attack on the structure, and the TCU or I-Hub explodes. Any alliance may then deploy their own replacement structure. 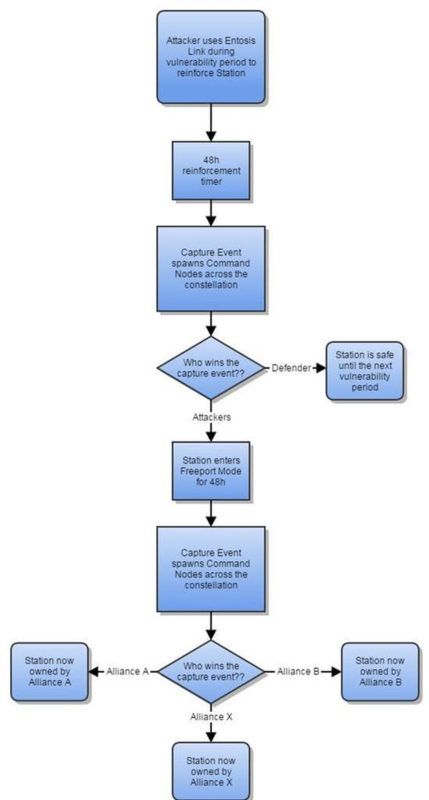 First, after an attacker is successful capturing a sufficient number of Command Nodes, the station does not explode. Rather, it goes into Freeport Mode for two days (48 hours) which means that anyone can dock in the station. At that point, a second set of Command Nodes is generated at random throughout the constellation. The Alliance that captures enough of these Command Nodes becomes the full owner of the station. I’ve covered only the critical aspects of Aegis sov in this overview – there are many finer details involved. But for those who just want to understand what is going on in the north better, the explanations here should provide you with a sufficient awareness of the essential mechanics.